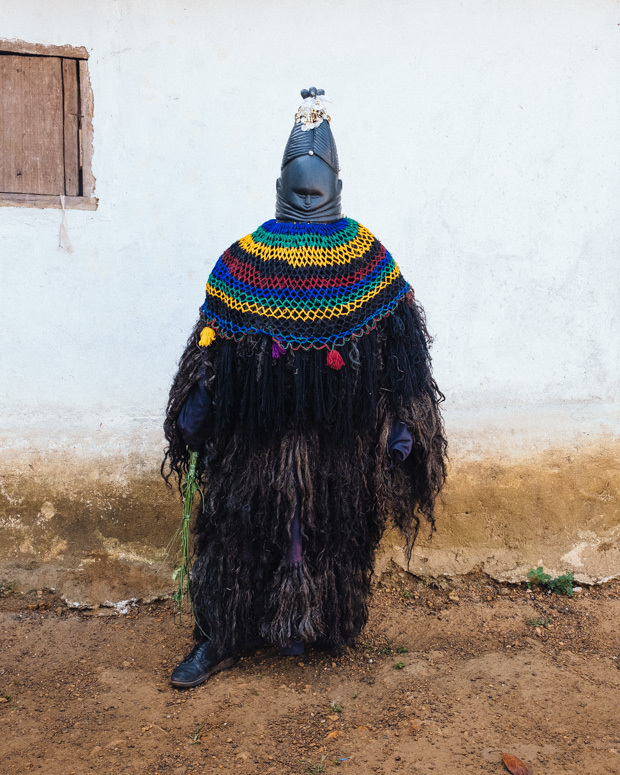 “It is said that if you photograph the Bush Devils (of Liberia), the pictures won’t come out” says British photographer Conor Beary, “whether or not there is any truth to that I don’t know, but I’m not to keen on the initiation process so thought I’d skip that and document the Dancing Devils”. It was not exoticism which compelled him to create this documentary but a long-term personal interest in global pagan traditions—among other past projects, he has also documented the Oby Oss in Padstow, Cornwall, England. “I find it all fascinating how some aspects of culture don’t fade out, but morph over time” he explains. 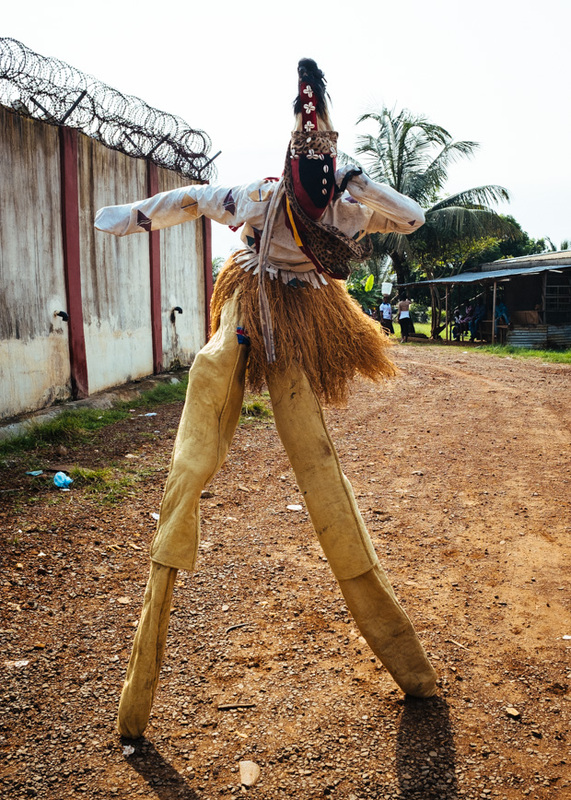 This ongoing fascination was what brought the artist to the small village of Monrovia in Liberia. 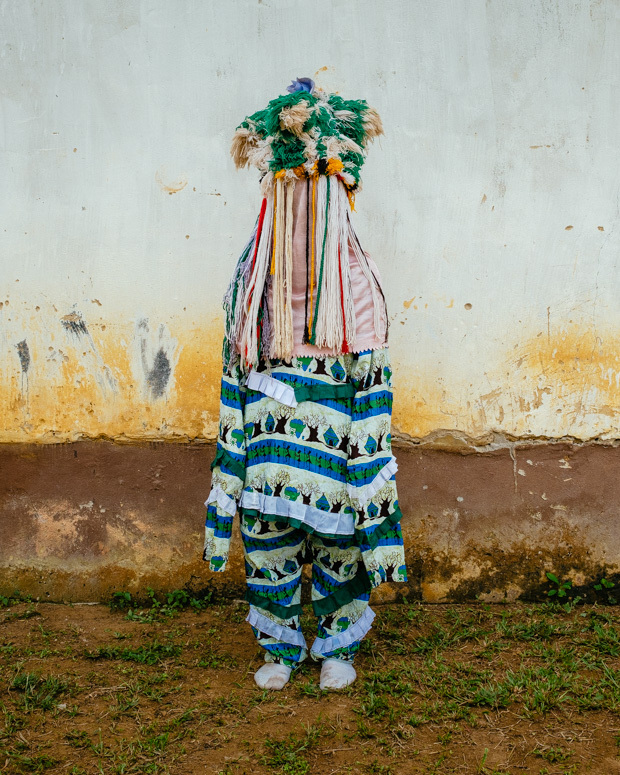 There he has been documenting the Dancing Devils of Liberia, individuals who dress as the bush devils and spirits who belong to the secretive communities which still practice the traditional beliefs and customs surrounding JuJu witchcraft. 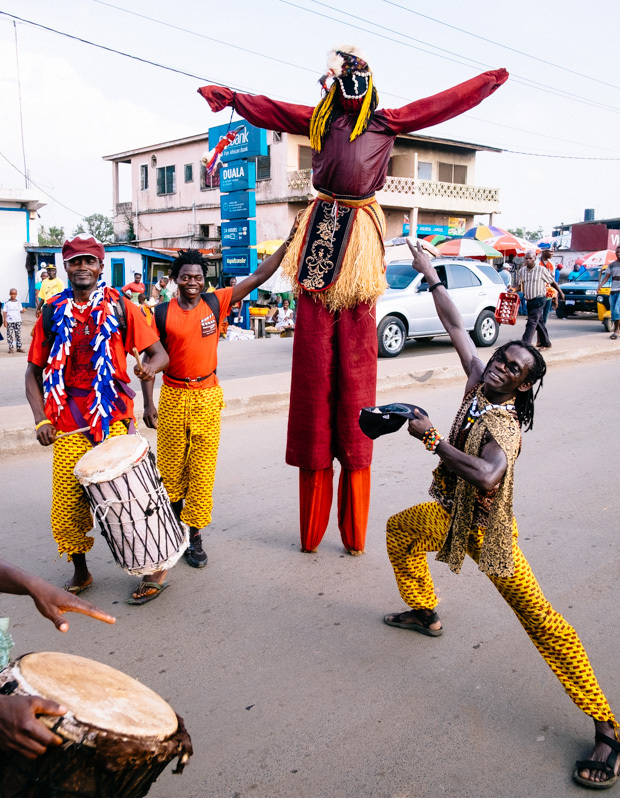 The Liberian dancing devils assume the role of bush devils, spirits that originate from the spiritual world of the ‘Poro’, or ‘bush’. The communities they belong to have long been a part of the culture of certain ethnic groups that constitute present-day Liberia. 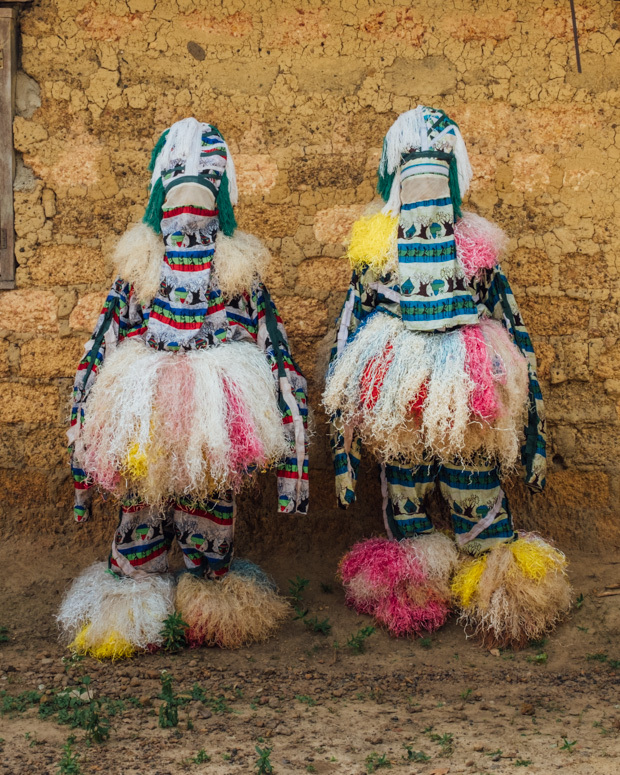 In the Poro context, the dancing devils are not regarded as evil— they have the ability to inflict punishment on individuals, though this is only used to bring order to society. The devils used to dance only at traditional festivals, though with the arrival of the freed and freeborn American settlers in the 1800s, they brought their dance to imported Christian holiday celebrations such as Christmas. Despite the devils’ ability to adapt, the christian Americans became the ruling class and pushed these unorthodox traditional customs to the underground. To date, Conor has visited Liberia two times. During his first trip last year he witnessed firsthand the everyday importance of witchcraft at a football match. 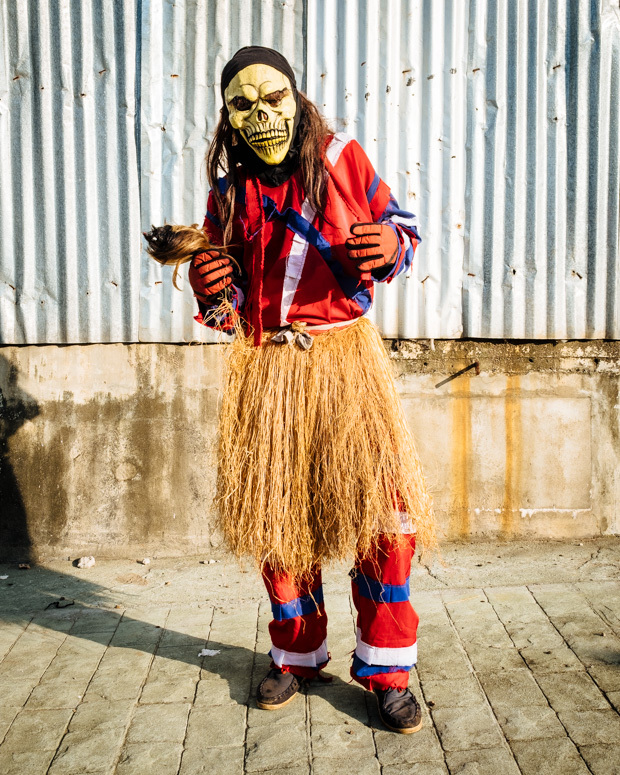 A witch doctor from Monrovia attended the game and promised he would bless the team whose supporters gave him the most money—this blessing would help the team win the game. While watching the match, the crowd roared with excitement as a dancing devil on stilts poked his head over the outside wall. Lost in the magic of the moment, the photographer didn’t pick up his camera quick enough. Conor’s two local friends, namely Darlington and Solomon, were keys to the community. Though not members of it themselves, they were able to assist the photographer with issues such as communication, orientation and most importantly locating the dancing devils. Though he met many in urban areas, others he had to find in the remote Bush. There were horror stories that he heard from locals, warnings that if he didn’t leave a place too quickly, he wouldn’t be leaving for a few years. “The Devil came and ate my son”, said one man in a village. Though there are rumours of ritual-associated cannibalism in some rural areas, this stranger actually meant that his son had been kidnapped and forcefully initiated into the community. The artist’s experiences were thankfully by and large very pleasant. 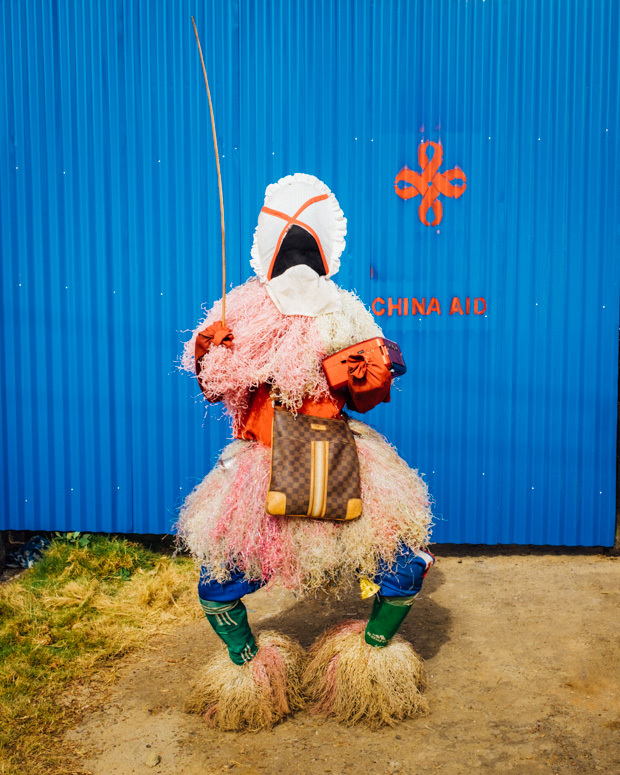 The aim of this series is not to push a particular agenda; the artist admits that he does not feel he knows enough about the community to be able to jump to any conclusions. 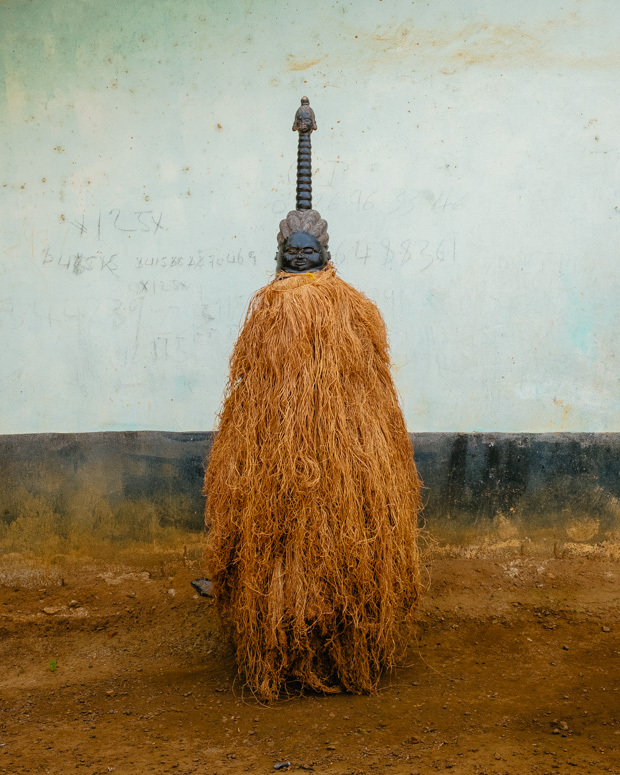 The Dancing Devils of Liberia is the product of an ongoing personal fascination, he elaborates: “As the project develops, I’m learning more and more about the subject but I feel thats it just the tip of the iceberg surrounding a culture that is thousands of years old”. The primary concern then is to document what he observes with as little bias as possible. It is up to the viewers to draw their own conclusions from the images.